Timucuan Parks Foundation is hosting a Coyote Clinic to help people understand the type of wildlife they may encounter in their neighborhood, their backyard or along many of the trails in local preservation parks. 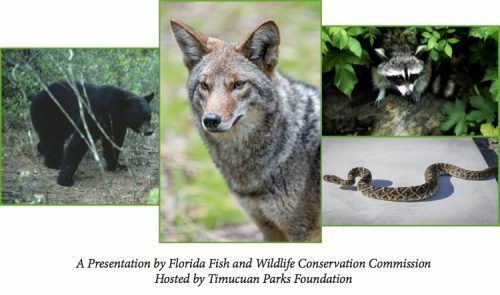 TPF has teamed up with the Florida Fish and Wildlife Conservation Commission to offer the presentation which will be held on Monday, Feb. 4, at 6:30 p.m., at Pablo Creek Regional Library. Mating season for coyotes runs through March and the FWC is warning people these wild animals may show up in their neighborhood. There have been sightings around the First Coast including in Duval, St. Johns, Clay and Nassau Counties. Additional wildlife including bears, raccoons and snakes can also make their way into residential neighborhoods. Many people are not aware of how to properly react to the wild animals or how to make sure their pets remain safe. The Coyote Clinic hosted by TPF is free and open to the public, but space is limited. Attendees must register at https://www.timucuanparks.org/calendar/coyote-clinic-an-introduction-to-wildlife-in-our-parks-and-neighborhoods. Pablo Creek Regional Library is located at 13295 Beach Blvd. In addition to information on how to react to wildlife in neighborhoods, the FWC will have information for campers and hikers who may encounter wildlife in the wild and will provide tips for keeping your pets safe at home and in the wild.